making phone equipment choices based solely on the lowest price – as with anything, although we all want the product for the lowest cost, cheaper is not always better. 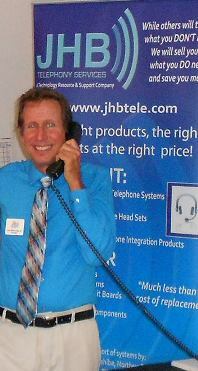 At JHB we fully tailor our approach with each customer – no ‘one size fits all’ with us – guided by a knowledgeable professional who can help you make the best, and most affordable phone system/equipment decision. Whether it’s the purchase of a whole phone system, additional phone, headset, voicemail, or even repair and support of existing phone equipment, this approach results in phone equipment that fully meets your business’ needs, and in the most cost effective way, including the use of high quality used and refurbished equipment. 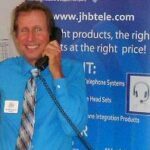 The recent introduction of Voice Over IP (phone service over the internet) technology in my view presents a revolutionary change and opportunity for growth that rivals Bell’s introduction of the telephone back in the 1870’s. It offers business’s near endless possibilities to better connect their clients/customers/patients call to live people (vs an endless voicemail selection process we’ve all grown to hate) while giving those staff better tools to serve them. It has also lowered the cost of phone service itself and in my opinion contributed largely to lowering of high speed internet service cost that such phone lines need to operate. 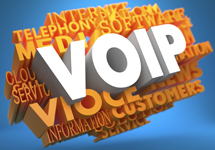 At JHB we have looked extensively and evaluated all of the many technologies, products and services – including internet providers and phone line service companies (both VOIP and standard “copper phone line” services ) that are out there. This allows us translate all of this information into plain language and thereby assist our clients to invest in business telephone equipment solutions that are high quality, low cost and that make sense for them at the time, and into the future. Finally, it is important you know that we are a family run US based corporation, not some soulless, ivory towered communications conglomerate located who knows where! As such we are guided by a principal impressed upon us by our father – a second generation Italian American – from our earliest days, and that is to treat all people as family that were .